Dimensions: 6 ft. 4 in. x 5 ft. 3 1/2 in. 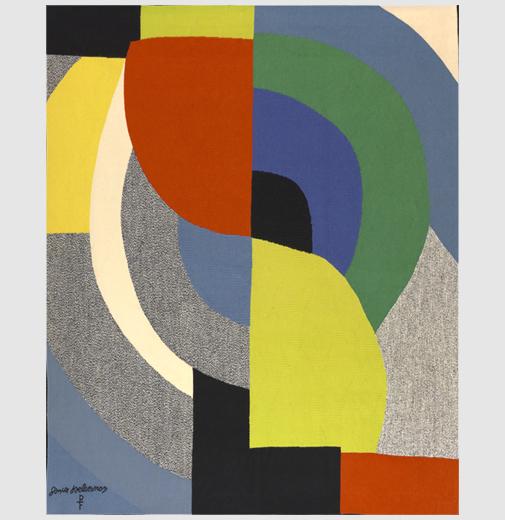 Sonia Delaunay is widely recognized as one of the greatest translators of modernist color and form to the material and texture of tapestry. Her language of animated, curving compositions of pure color does not pass through Cubism, as most of her contemporaries did, but rather dashes directly toward complete abstraction. 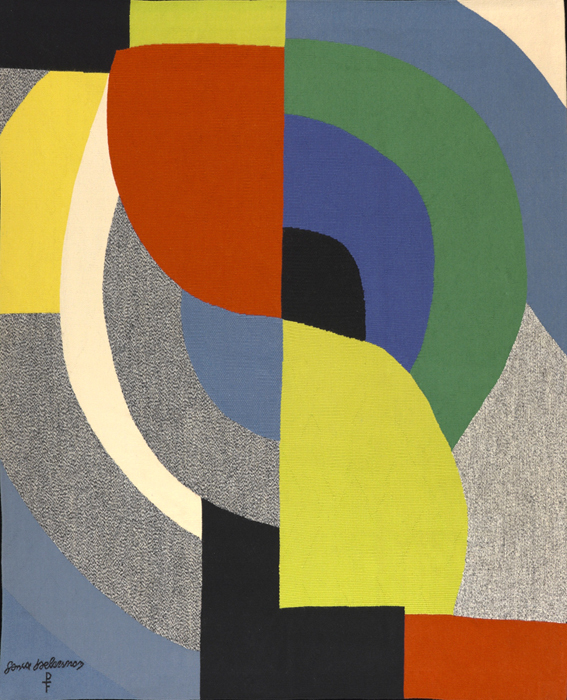 Reflecting her stature in the world of art mid-century, Sonia Delaunay was the first living female artist to have a retrospective exhibition of her work at the Louvre in 1964.